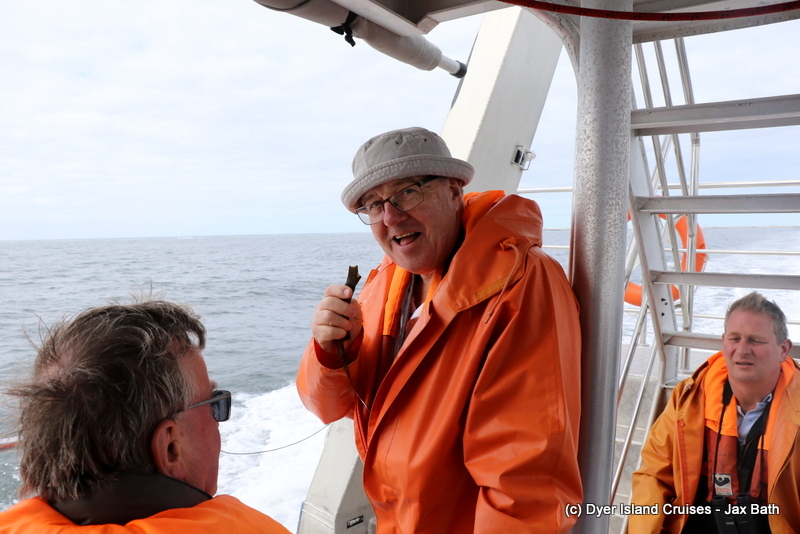 we had a very special tour today, with the action starting straight out of the harbour. As we made our way out of port, Kira spotted a blow close to shore, so we changed direction and made our way towards the west, hoping to spot the blow once more. 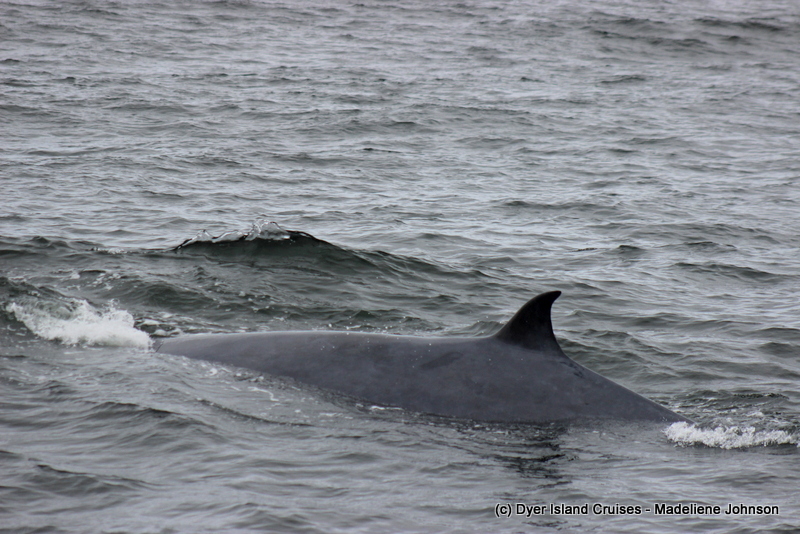 We did, and once we saw the animals we were elated to discover that we had come across a beautiful Brydes Whale mother and her calf. 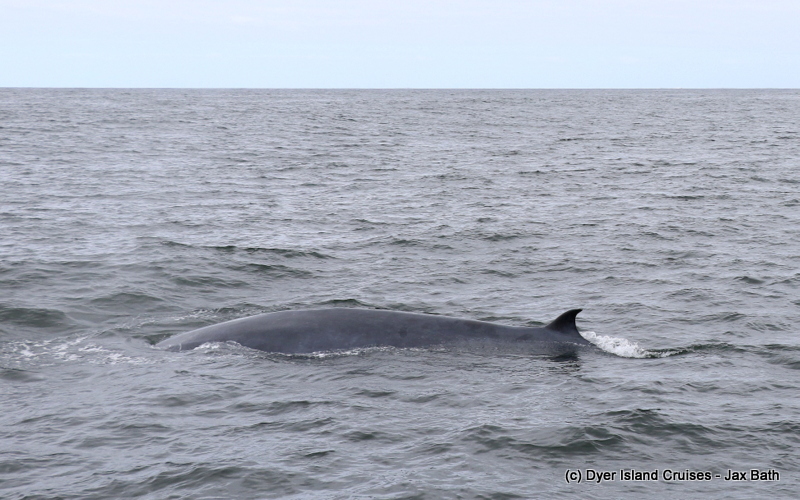 We don’t typically find Brydes Whales so close to shore, but the presence of birds alerted us to the fact that the fish were passing through, which gave the whales incentive to come a little closer. 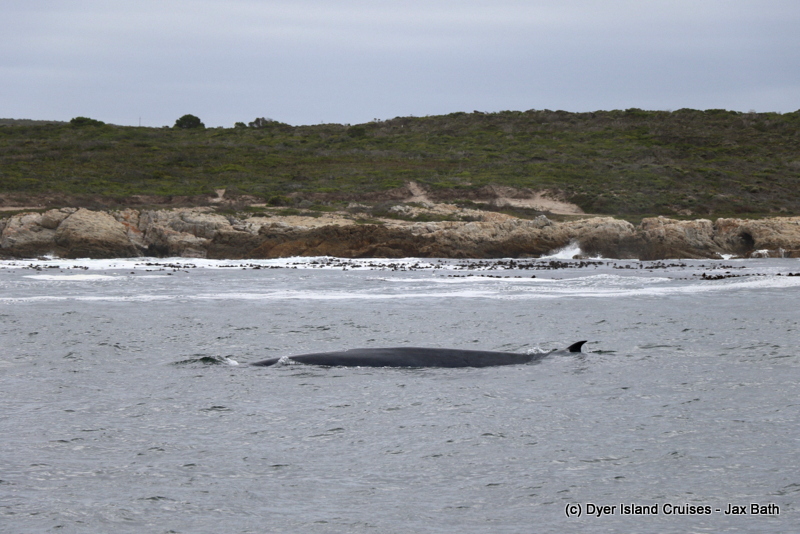 This mom and calf were super relaxed, slowly moving along the shoreline before making their way deeper into the bay. 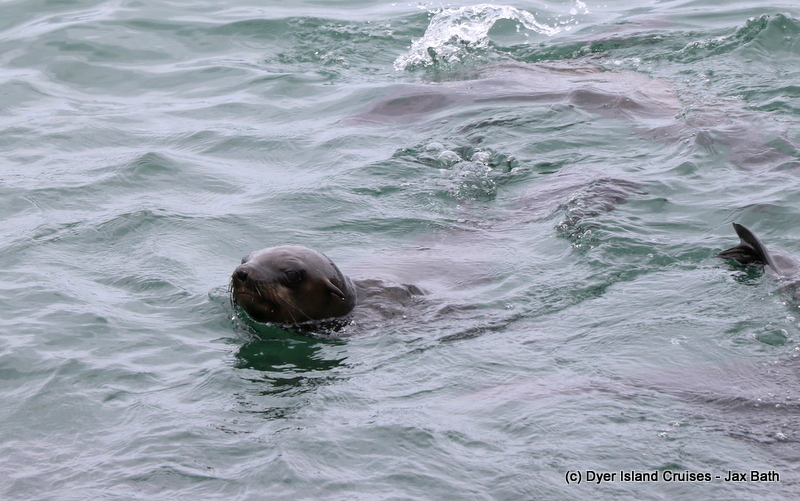 As they did this, we got a super close pass from mom as she came up right next to the boat, to the delight of all aboard. 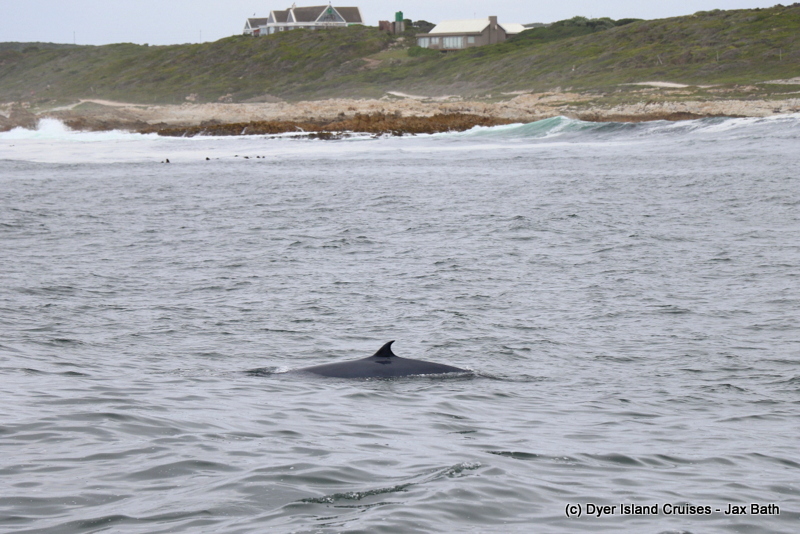 We got a few more looks as these whales as we slowly made our way out the area and towards Dyer Island. 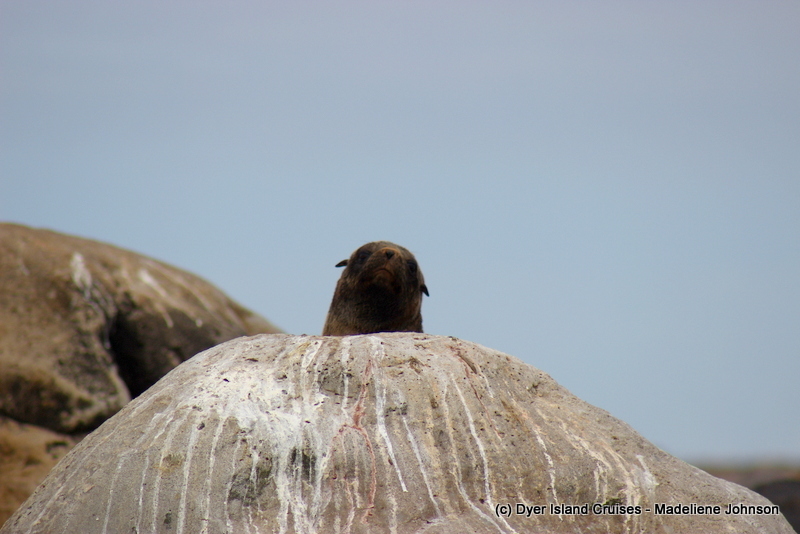 At the island, we got our binoculars out and tried to spot some African Penguins, with some of them resting between the big, white boulders on the island. 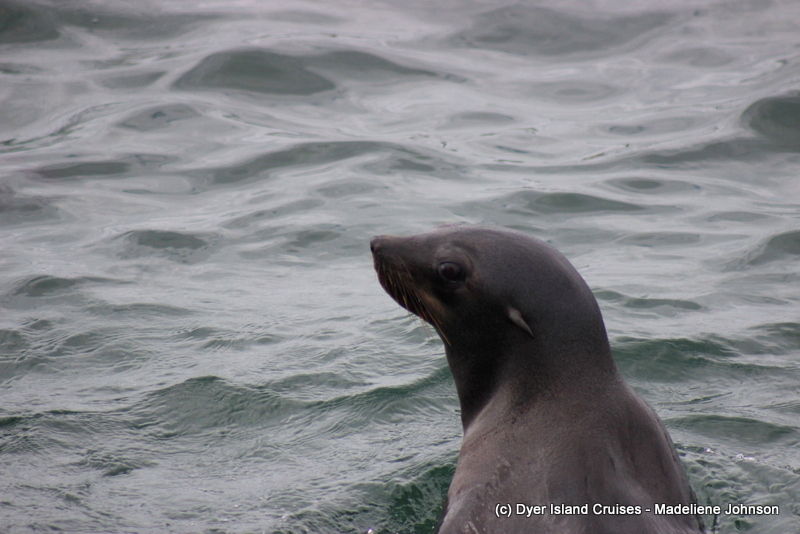 We then made our way over to all of our Cape Fur Seals to give them some much needed attention. 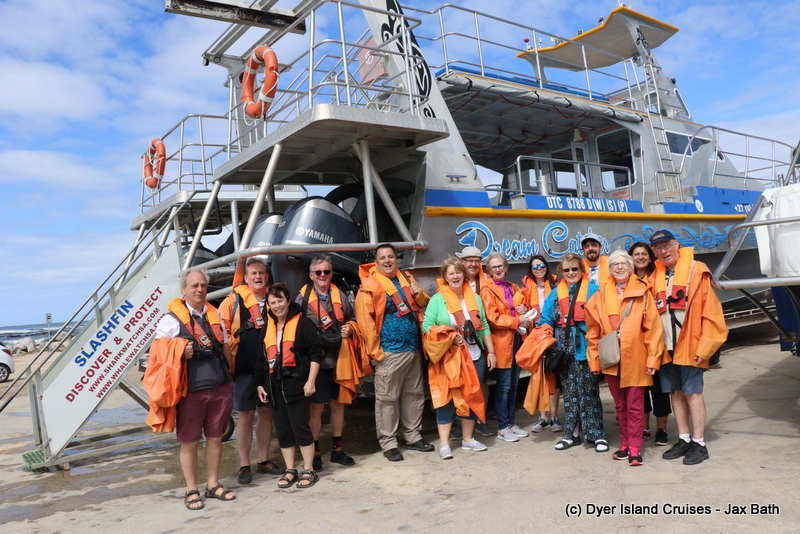 We hung out with our favourite ocean pups in Shark Alley before trying to point out a shark at Slashfin, we found a Copper Shark or two here before heading back into Kleinbaai harbour. 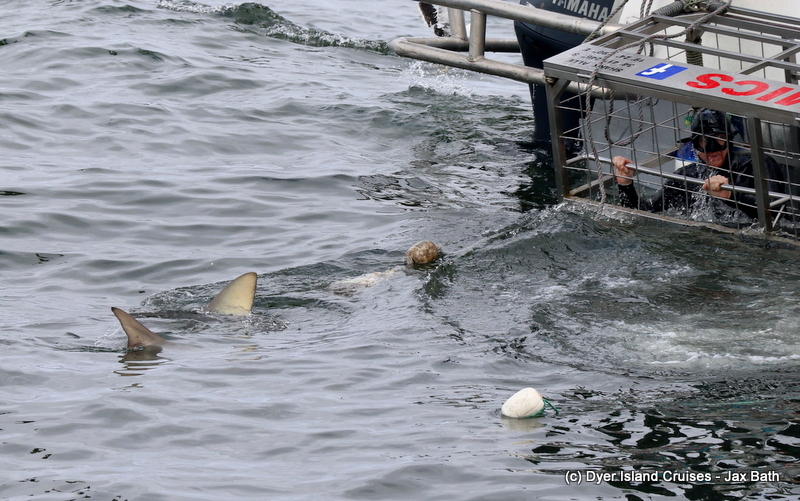 We had some lovely Copper Sharks on this tour. Happy faces after a lovely tour. 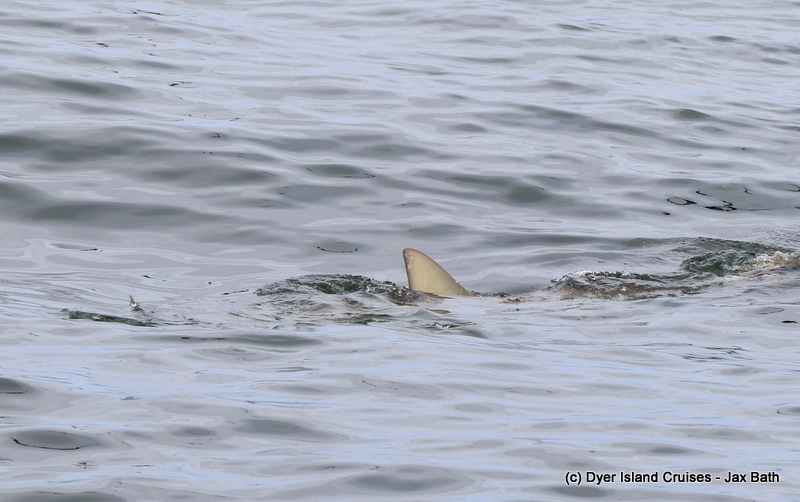 Another view of a Copper Shark. 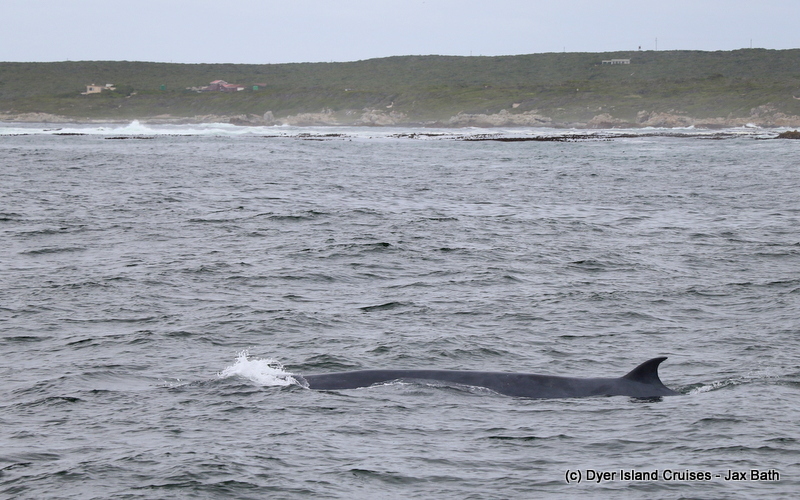 We had the most incredible time with this mother and her calf. 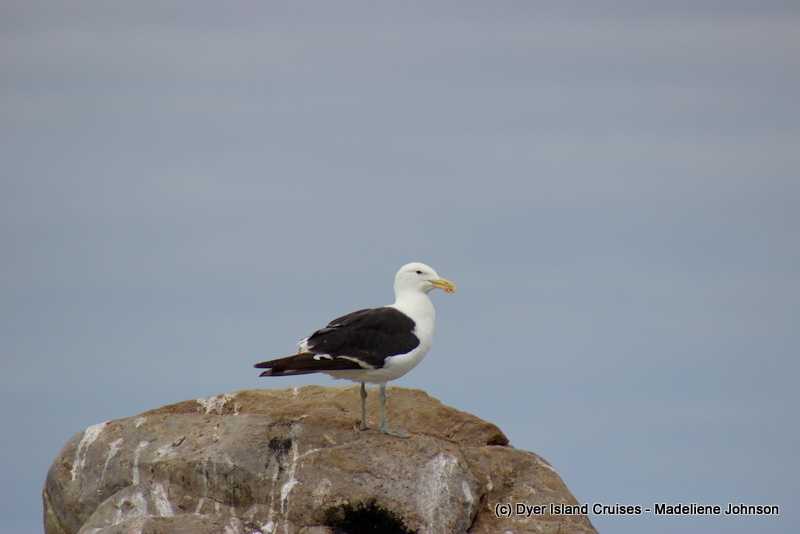 A Kelp Gull on his perch. A seal checking us out after waking up from her nap. 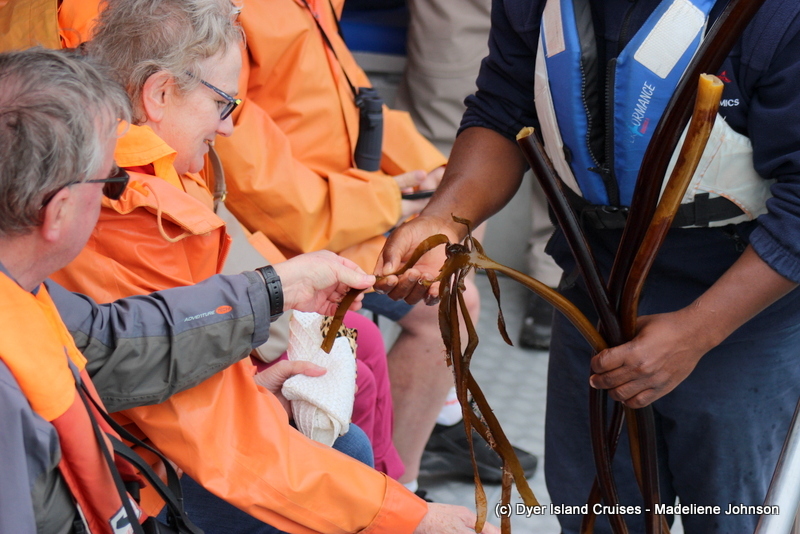 Having a look, a feel and for those brave enough, a taste, of the kelp. This was a really beautiful mother. This calf is already quite large, and also very confident. Mom coming up nice and close. One last view from this incredible sighting. 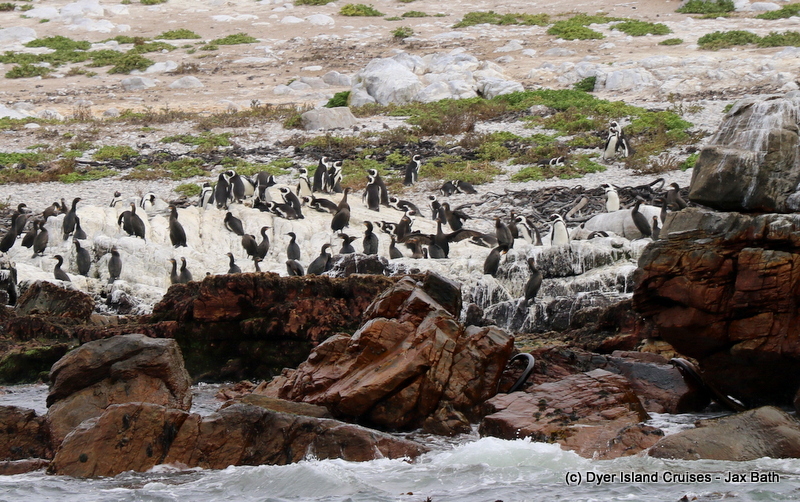 Lots of African Penguins on the rocks. A seal coming in for a closer look.